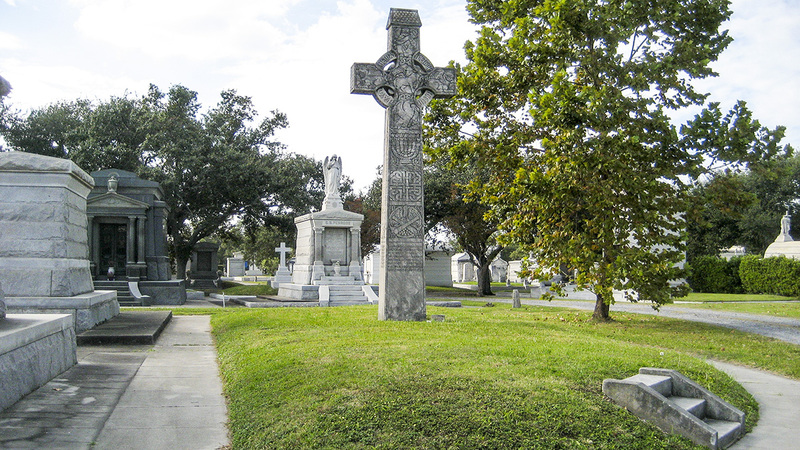 Founded in 1872 upon a 150-acre site used as a horse-racing track dating from 1838, Metairie Cemetery was designed by Benjamin Morgan Harrod, a civil engineer known for building extensive water and sewer systems in the city. The site was used as an encampment during the Civil War, which ruined it for future horse racing and led to its origins as a cemetery. Harrod’s design alludes to the earlier track, with its concentric oval rings, the largest of which is Central Avenue, overlaid by a grid to create smaller sections for burial plots. 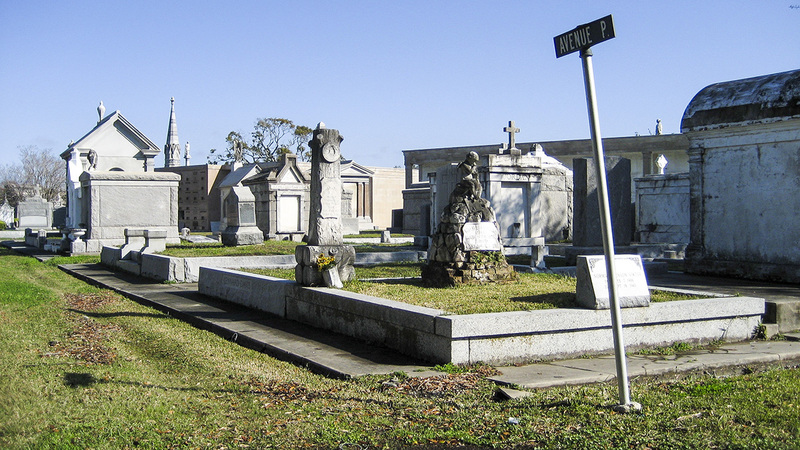 Unlike many New Orleans cemeteries, Metairie includes both above-ground vaults and in-ground burials, which allowed for areas of open lawn scattered with deciduous trees. A long, narrow canal, with an informal fountain and lined with trees, offers a focal point in the center of the site. 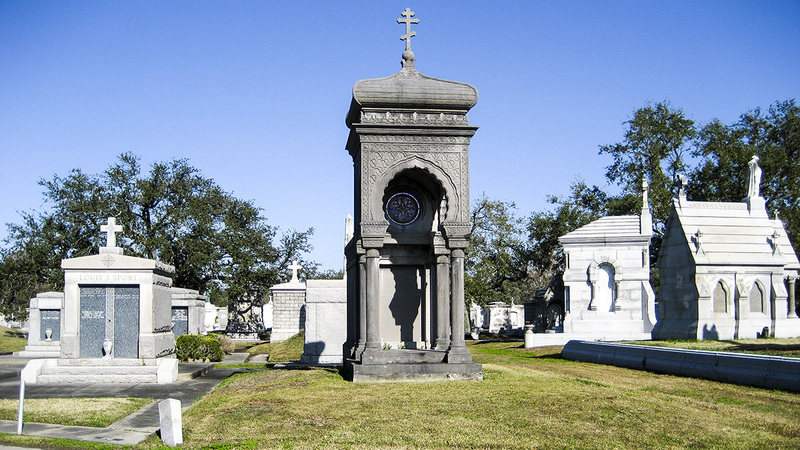 Metairie Cemetery is known for its eclectic architectural styles including notable Egyptian Revival monuments, and has the largest assemblage of marble tombs and statuary in the city. 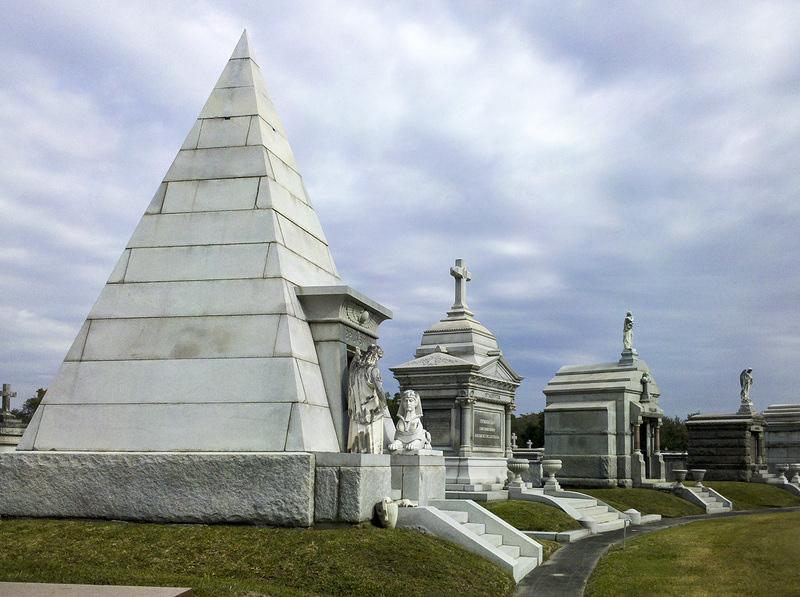 Among other significant structures, the Brunswig mausoleum is a masonry pyramid adorned with a sphinx, and the Moriarty tomb, with a 60-foot height, is considered the tallest family monument in the nation. 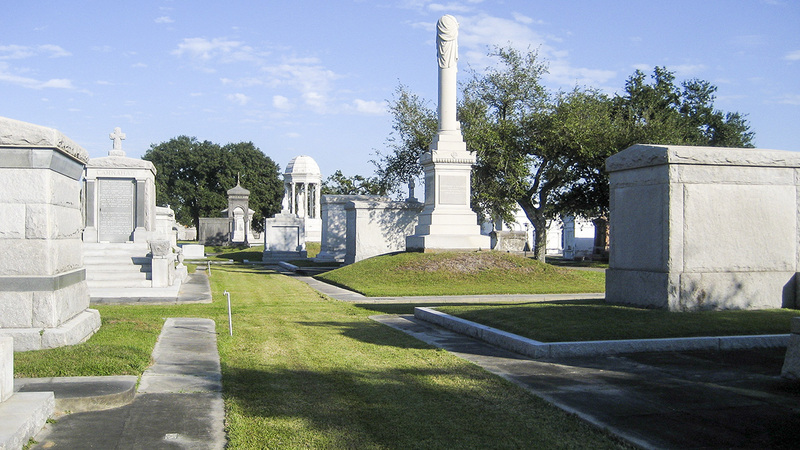 Metairie Cemetery was listed in the National Register of Historic Places in 1991.